Loss, theft and damage: they’re three horrible things that can make business seem scary. And if you’re mobile catering businesses is not insured, they really are very worrying. But with policies for all sorts of mobile catering units, you can take some of the fear out of business. They say that a cup of tea is the solution to every problem. But if something goes wrong for your hot drinks business, you’re going to want more than just a cuppa. You’re going to want to know that you’re covered under your insurance policies. Protect your coffee or tea business with specialised NCASS Insurance policies for mobile caterers. Call 0121 603 2524 for your quote and honest advice. 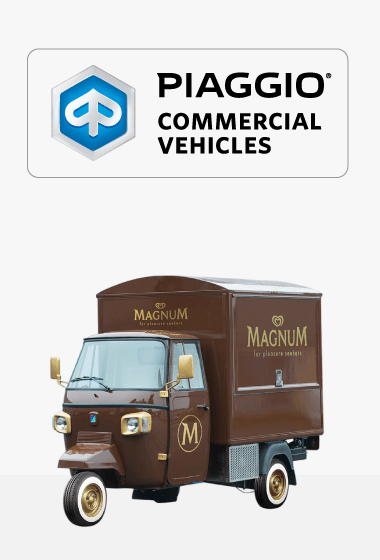 The Big Coffee are the UK’s only Authorised Commercial Importer of Piaggio vehicles in the UK. By working closely with Piaggio we’re able to offer an official Piaggio warranty along with the very latest stock and range of vehicles. The Piaggio Ape (often referred to as a ‘Tuk-Tuk’) is iconic, a truly unique vehicle that is guaranteed to stand out from the crowd. With its retro styling and recognisable bodywork the van evokes memories of a particularly memorable era in Italy. 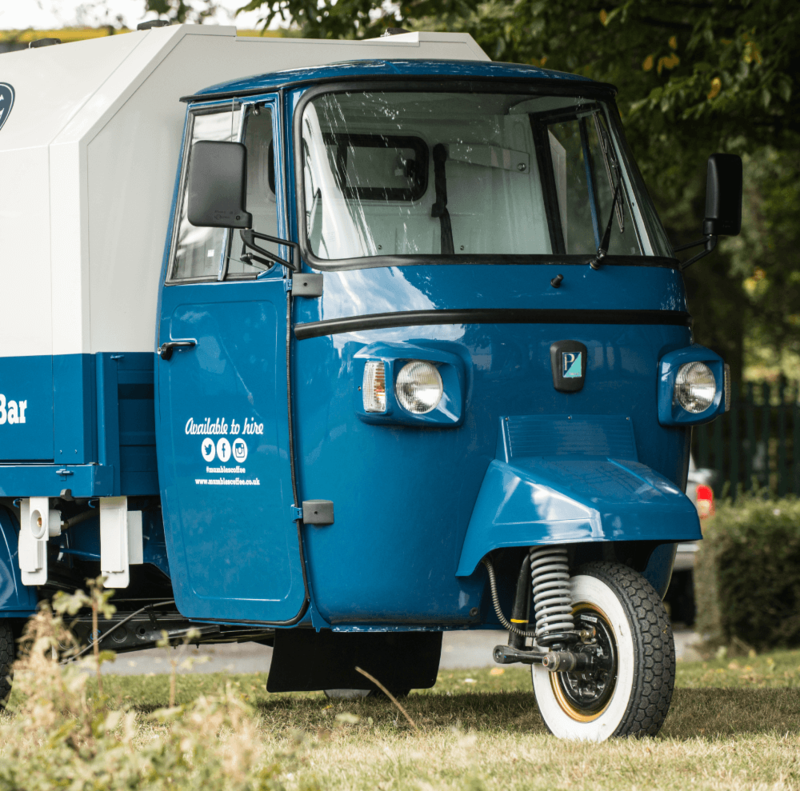 These vehicles are proving to be incredibly popular with a wide range of businesses, from coffee to sandwiches and even prosecco. We work hand in hand with the Piaggio team over in Italy, making regular visits to ensure a strong relationship. As the UK and Ireland’s only official Piaggio commercial distributor we work directly with the team to help provide an expert aftercare service and support. We’ve been working with Piaggio for years to bring their contemporary and unique vans to the UK audience. With a full official Piaggio warranty and the complete backing of Piaggio themselves, stick with the experts when you’re choosing your next mobile catering van. There are many excellent espresso machines on the market and depending on where and what it will be used ultimately will decide on what make and model we choose. As your new business is designed to be mobile, it is very important to choose a coffee machine that works equally well on gas as it does powered by electric. The very best machine for this is the Fracino, they offer fantastic after sales and warranty to all of our customers worldwide. We have worked with Fracino for over 10 years and we both share the same passion for the perfect coffee as well as understanding the demands of a mobile offer. Our relationship with Fracino has developed over the years to a partnership second to none, we ensure that we communicate regularly to make sure that both our services are the very best and that our customers receive what is expected and demanded from us. If we did not supply your vehicle then Piaggio WILL NOT cover your warranty.